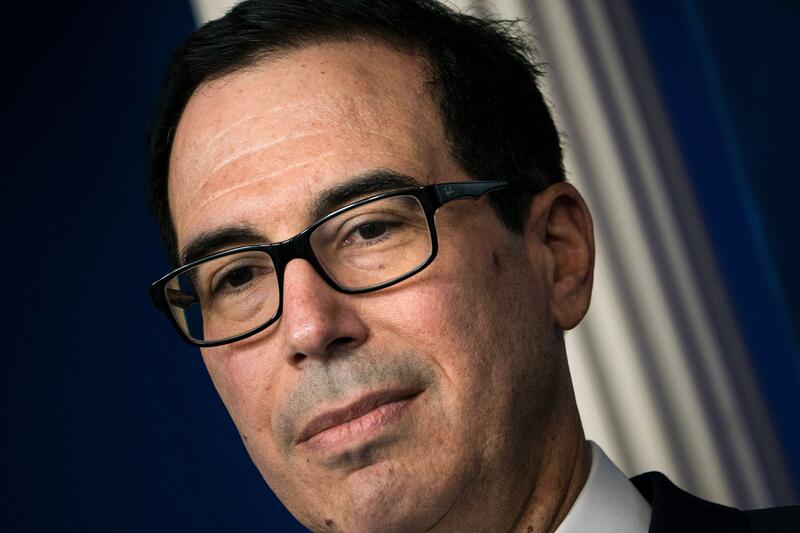 Treasury Secretary Steve Mnuchin says that he's "100 percent confident" that the nation's debt ceiling will be raised in September amid President Trump's recent claims that GOP leadership dropped the ball in not raising it before the August recess. "The president and I are on same page, we're speaking on a regular basis on this," said Mnuchin at Thursday's White House press briefing of Mr. Trump's concerns on increasing the debit limit. When asked to provide more details into Mr. Trump's tweets on Wednesday, in which the president blamed Senate Majority Leader Mitch McConnell and House Speaker Paul Ryan for "creating a mess" by not attaching debt ceiling legislation to an existing VA bill, Mnuchin said it was Mr. Trump's "strong preference" to pass the legislation before lawmakers left for recess to avoid adding more work to a busy September agenda. Ryan since admitted to missing the deadline set forth by the president, but said in an interview with CNBC on Wednesday that lawmakers had "plenty of options in front of us" in order to pass necessary legislation. "I'm not worried that's not going to get done. It's going to get done," said Ryan. "This is about paying the bills we already racked up," he added. But Mnuchin assured reporters that following discussions with leaders in both parties, "we're all on the same page that the government will pay its debts and the debt ceiling will be raised." "There's no scenario where the government won't be paying its bills," he added. Aside from raising the ceiling before a default deadline approaches, Mnuchin says that the administration is now focused on providing their framework for tax reform, another item he admits has been delayed. "Earlier in the year, I thought we'd get it done by August and I was wrong. Now I'm going to say I'm very hopeful and I think we can get this done by the end of the year but we continue to revisit it," said Mnuchin. Mnuchin said the objective now is to have "one plan that includes the administration, House and Senate to work very closely together." "We think it's very important for both comittees to have the ability to debate this and review it," he added. The secretary noted that Mr. Trump will be addressing the tax reform plan starting with his trip to Springfield, Missouri on Wednesday and is "100 precent supportive of us passing legislation this year."